Paultons Park is inviting horticulture enthusiasts to the Park after it closes to explore its ‘exquisite gardens’ at the first Exclusive Gardens Open Evening. On Tuesday, July 9 2019, the Paultons Estate – home to the UK’s best-rated theme park Paultons Park, based in the New Forest, is inviting gardening enthusiasts and horticulture groups to roam more than 65 acres of landscaped parkland. The Exclusive Gardens Open Evening will start at 6.30pm and guests will be able to explore the themed and formal gardens located within Paultons Park, such as the Japanese Garden which opened at the Park in 2017. The dedicated gardening team will be on hand to share the estate’s history and answer questions. During the evening visitors will see themed topiaries, copper water features, historic cedar trees, and much more. James Mancey, operations director, said: “The Paultons Estate features exquisite gardens rich in history, with the original features laid out by English landscape artist Capability Brown, known as ‘England’s greatest gardener’. Several of Brown’s iconic and recognisable design elements can still be seen today. Tickets for this event are limited and on sale now at: www.paultonspark.co.uk. Tickets are charged at £10 per person, with £2 going to the Park’s chosen charity. Family-friendly rides, the Trekking Tractors and The Dinosaur Tour Co. Jeep Ride will be operating during the evening’s event to transport guests through the gardens in which they operate. Light refreshments will be available to purchase in the Wild Forest restaurant. “As guardians of such a rare and special plant collection, it’s vitally important for us to ensure these plants and the structures are conserved. When a pane of glass falls from the glasshouse, leaving the plants vulnerable to the elements I know we must act with speed to start the renovation project” Nell Jones, Head of Plant Collections Chelsea Physic Garden. The average entry fee for visiting a National Garden Scheme garden over Festival Weekend is approximately £4.45 for adults and free for children. Dogs are also welcome at a number of open gardens and many sell plants. For more information, high resolution images or to interview a spokesperson, please contact Becky Medhurst by emailingbecky@ngs.org.uk or calling 01483 213908. 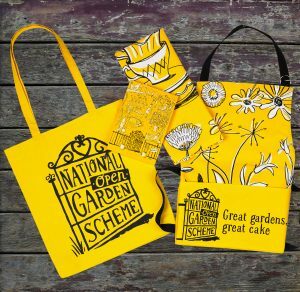 Since 1927, the National Garden Scheme has been inviting garden owners to open their exceptional gardens to the public, giving people unique access to some of Britain’s most beautiful and memorable gardens while raising money for charity through entry fees, teas and cake. Thanks to the generosity of garden owners, volunteers and visitors, the National Garden Scheme is the most significant charitable funder of nursing charities in the UK – having donated £55million over the last 90 years. This year the National Garden Scheme donated a record £3.1million from funds raised at open gardens in 2017 and supported charities including: Macmillan Cancer Support; Marie Curie; Hospice UK; Carers Trust; Queen’s Nursing Institute; Parkinson’s UK; Perennial; National Autistic Society; and MS Society. There are over 3,600 private gardens open to the public in 2018, all of which can be found by vising the National Garden Scheme website, or in the Garden Visitor’s Handbook, which is published annually and available via the National Garden Scheme shop and at all good book retailers. A 3-acre garden situated on top of the Yorkshire Wolds, Hunmanby Grange boasts a delightful array of planting to create contrasting colour, shape and texture. Humanby Grange also features a pond garden, a scented patio, a coppice woodland and the National Garden Scheme’s only private brewery in a garden, Wold Top Brewery – where visitors can sample a beer brewed with home grown barley and pure chalk filtered water. Light refreshments in Wold Top Brewery bar area. Barton Bendish Hall is a beautiful traditional 10 acre country estate garden which features a woodland drive, an orchard, a kitchen garden, a walled herb and cut flower garden, and a Thomas Messenger style glasshouse full of scented pelargoniums. The garden’s south facing terrace has wonderful open views onto the wider farmed landscape. Kew Green Gardens is a fascinating group opening of five long gardens behind a row of 18th century houses, close to Kew Royal Botanic Gardens. Visitors will enjoy the profusely planted and traditional borders of a mature English country garden, contrasted with formal gardens, terraces and lawns, laid out around tall old trees; and woodland and wild flower planting. One garden boasts an unusual architect-designed summerhouse, while another offers the surprise of a modern planting of espaliered miniature fruit trees. Wine is served at this evening opening. Spencers is a dreamy 18th century walled country garden around an elegant white Georgian house. The garden was laid out by Lady Anne Spencer and has been renovated by top landscape artist, Tom Stuart-Smith. In Spring and Summer the garden overflows with spectacle – including huge tumbling wisteria, startling armies of ”true-blue” Lord Butler delphiniums, lavender walks, dazzling herbaceous borders and a knot garden enclosed by espaliered pears. Roses appear in many guises and visitors can also enjoy the woodland garden along the River Colne. Brand USA, the destination marketing organisation for the United States, has announced a trio of USA gardens at this summer’s Royal Horticultural Society (RHS) Hampton Court Palace Flower Show, which will take place 3rd – 9th July 2017. Partnering with The Beaches of Fort Myers and Sanibel, Explore Charleston, South Carolina and Travel Oregon, Brand USA will be bringing floral flavour to the UK, showcasing each destination through specially designed and built gardens for the flower show. This follows the United States’ presence at previous events. Titled “Great Gardens of the USA,” The Charleston Garden, The Beaches of Fort Myers and Sanibel Garden and The Oregon Garden have all been designed by UK-based designer Sadie May Stowell, who has worked with Brand USA on five award-winning gardens over the past two years. For the 2017 event, Stowell will seek to capture the essence of the historic Moonlight Garden of the Edison & Ford Winter Estates in Fort Myers, Florida; the romanticism of Charleston, South Carolina, and the International Rose Test Garden of Portland, Oregon, and will bring to life the diverse culture and stunning landscapes of those destinations. The three “Great Gardens of the USA” will showcase the diversity of the urban outdoors and neighbourhoods of the United States’ cities and towns. The gardens allow spectators to connect to the destinations’ unique culture and heritage by experiencing the plantings and landscapes of the local parks and gardens that define each destination, inspiring viewers to visit the destinations for themselves to experience the USA’s great and urban outdoors in person. While encompassing the spirit, charm, and elegance of Charleston, the Charleston Garden will offer a sense of the history, the sub-tropical climate and the atmosphere of this southern city. The design takes its inspiration from Charleston’s iconic Pineapple Fountain within Charleston Waterfront Park, an emblem that embodies the southern romance of Charleston as a destination. In Florida, the historic Moonlight Garden at the Edison & Ford Winter Estates in Fort Myers is a beautiful contemplative garden designed by Ellen Biddle Shipman, the first female landscape architect in the United States. This year’s show garden will take inspiration from the Moonlight Garden, incorporating Thomas Edison’s profound inventions including the phonograph and the light bulb. The garden’s main components will include a central water feature to reflect the moon and stars, with trellises of bougainvillea providing living fences along each side. The main colours of the flowers are white and blue, and the garden will include a replica of Edison’s office, a wooden building with an exposed brick chimney, visible behind a reflective pool. The Oregon Garden will be a tribute to the renowned Portland International Rose Test Garden, which is celebrating its centennial this year. The garden will incorporate a water feature based on the central fountain in the Rose Test Garden, as well as an ‘East meets West’ theme, bringing in elements of Portland’s acclaimed Japanese and Chinese gardens. The backdrop will include rocky outcrops to convey Oregon’s mountainous topography and the natural beauty of the Oregon landscape. This comes at a time when travelling to Oregon has become much easier for UK travellers to visit because of a new direct flight that Delta will launch on 27th May 2017, from London Heathrow to Portland International Airport. for more information and a variety of travel experiences in the United States. 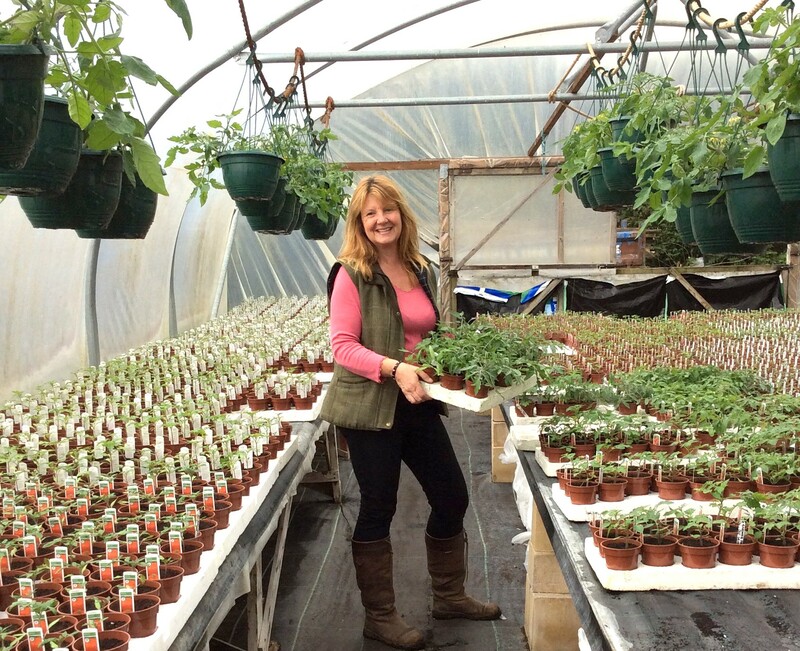 Corinne Kirkham, owner manager of Windrush Farm Growers in Wimborne, is set to visit customers at Haskins Garden Centre in West End on Saturday April 29, to give hints and tips on growing vegetables at home. From 10am to 2pm Corinne will be on hand at the centre in West End to answer any vegetable based questions. Having set up her business in 1980, in Horton, Corinne learnt her gardening skills from her father and for more than 30 years Windrush Farm Growers has traded with Haskins. Alasdair Urquhart, plant advisor at Haskins Garden Centre, said: “We’re really pleased to have Corinne join us at the centre. Windrush Farm Growers are great friends of Haskins and we’re sure that Corinne can provide advice on any vegetable question. Haskins Garden Centres is based in Ferndown in Dorset, West End in Southampton and Roundstone and Snowhill in West Sussex. With the clocks springing forward on Sunday 26 March, Parkinson’s UK is urging people to get ready for sunnier days and bring the fun, festival vibe to their gardens, by taking part in a brand new fundraising activity. 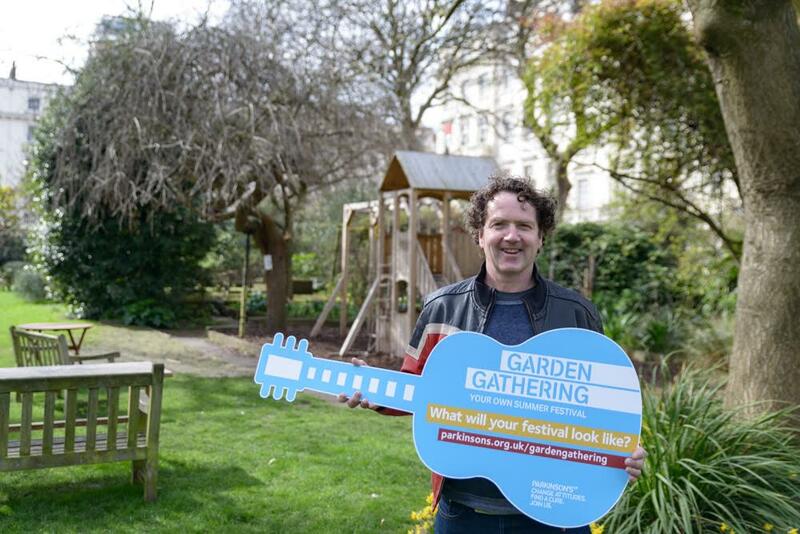 Garden Gathering, a new feel good fundraiser, encourages people across the country to host mini-festivals with family and friends in their own gardens or favourite outdoor spaces. Diarmuid Gavin, an inspirational gardener and Chelsea Flower Show favourite, is backing Garden Gathering to help raise funds for the charity’s work to support people living with Parkinson’s and to support research into better treatments and a cure. Diarmuid said, “I’m passionate about spending as much time in the fresh air as possible, and love to entertain outdoors in the summer in Ireland, where I live. Paul Jackson-Clark, Director of Fundraising at Parkinson’s UK, explains: “You don’t have to go to Glastonbury or Bestival to get that festival feeling. Garden Gathering is the perfect opportunity to bring together friends and family closer to home. ‘July 1st is Garden Gathering day, but you can hold your mini-festival at any time during the summer. We are looking forward to seeing what events people organise. We hope that everyone will get behind us to make our first year a huge success”. The changing seasons in the UK are expressed most noticeably throughout our many gardens countryside landscapes. This year, the gardens within the Elite Hotels Group, which covers Ashdown Park in East Sussex,Tylney Hall in Hampshire and Luton Hoo on the Hertfordshire/Bedfordshire border are open to the public at a series of themed events. meadows, woodland, lakes and nature trails all waiting to be explored. as well as putting any gardening queries to Kevin. Afterwards, guests will enjoy a traditional afternoon tea including a variety of cakes, sandwiches and pastries. of which 50 acres is ancient woodland and 40 acres grazing land, where wild deer roam freely. The parklands are cared for and maintained by Kevin Sweet, Estate Manager, who has worked at Ashdown Park Hotel for nearly 40 years. purchase and light refreshments served from midday. when it comes to the gardens at Tylney Hall and those on the tour will get the opportunity to learn more about the garden’s vast history and future plans.